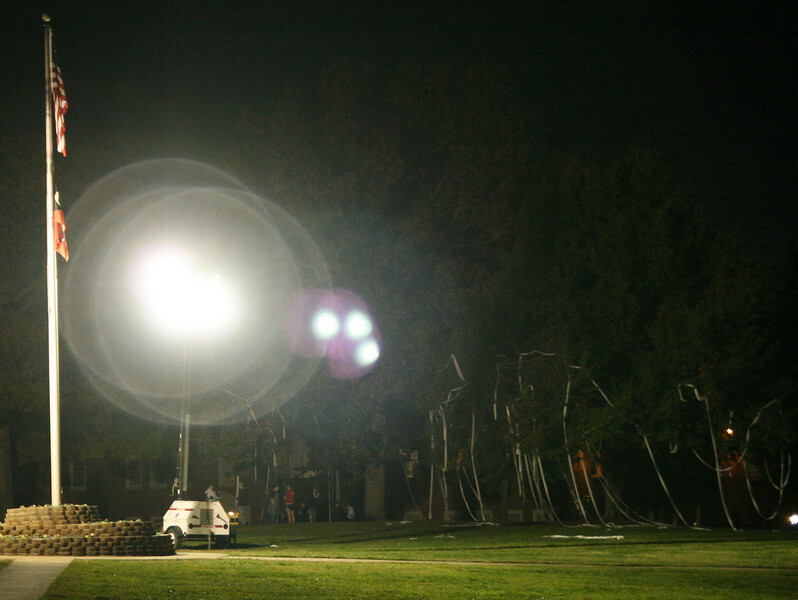 Several trees on the quad ended up "TPed" depite the school's best efforts to keep Homecoming pranks to a minimum. 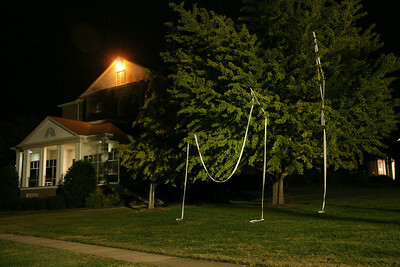 A tree in front of Hamrick Hall finds itself "TPed" around midnight Friday night, despite the school's best efforts to keep Homecoming pranks to a minimum. The base of one of two industrial lights brought in to illuminate the quad ends up "TPed" around midnight Friday night, despite the school's best efforts to keep Homecoming pranks to a minimum. 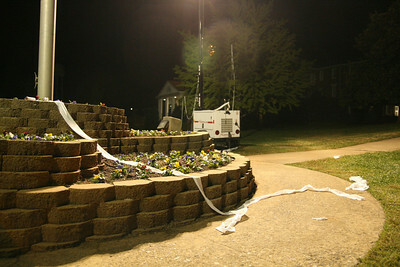 Several trees on the Quad ended up "TPed" around midnight Friday night, despite the school's best efforts to keep Homecoming pranks to a minimum. 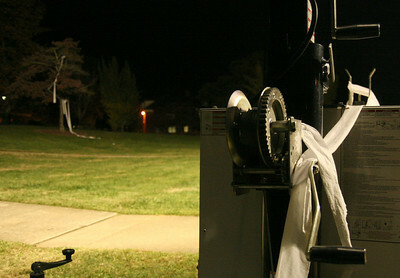 The base of the flagpole was donned with toilet paper around midnight Friday night, despite the school's best efforts to keep Homecoming pranks to a minimum. 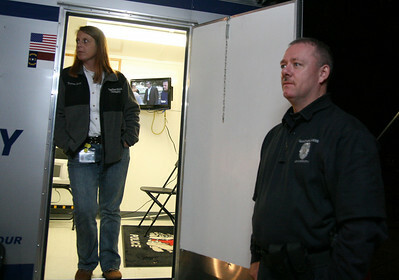 (L-R) Teresa Harp, UP office manager, and Officer Barry Lane are ready to serve from their mobile unit set up on the quad about midnight Friday night during Homecoming weekend.